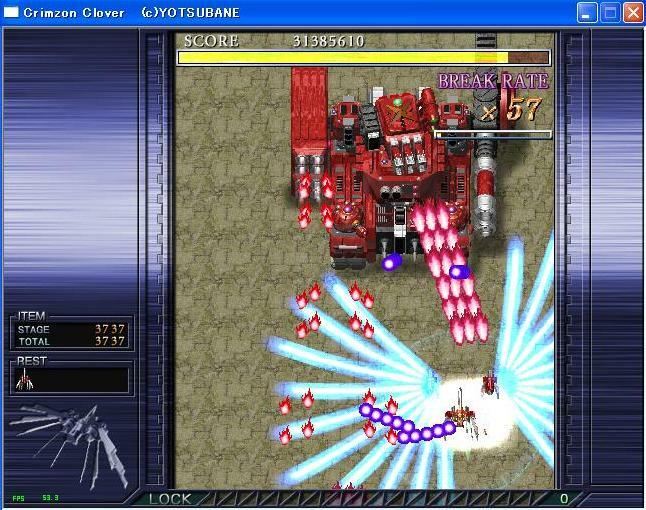 YOTSUBANE, makers of danmaku game Crimzon Clover, offer a web demo. The demo was previously released at Comiket 77, and an earlier version was released at Comiket 76. Japanese gamer NGD reviewed an earlier version, suggesting that parts were loud, flashy, or outright ugly, especially during BREAK mode, but admitting that overall it was “surprisingly good” despite these shortcomings. European reception to the present version seems to be centered on its high production values and difficulty. Comparisons to Do-Don Pachi Daifukkatsu and Ketsui have been made. 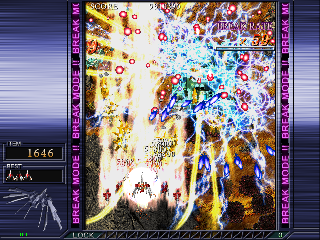 As a demo, the game contains only three stages and an incomplete third boss fight.